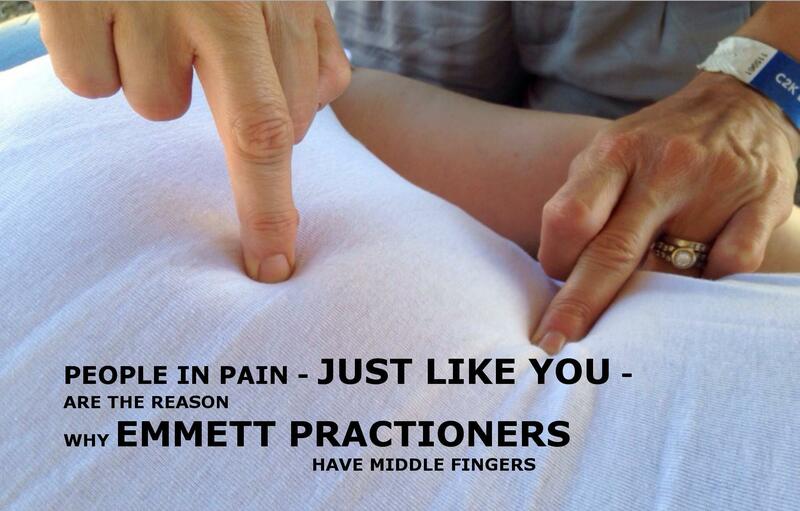 EMMETT Technique is a safe and simple muscle release therapy developed by Ross Emmett. It is an internationally recognised technique taught in over 26 countries world wide and is suitable for all ages. EMMETT achieves results in the relief of pain and discomfort of chronic and acute conditions especially those related to muscle. EMMETT technique is not massage. EMMETT uses a combination of direct finger pressure, switches, and gentle stretches to remind the body of what is “normal” or “balanced”. Persistent headaches can also be the result of muscle misbalance especially in the upper back and neck. Rebalancing those will provide immediate relief. Alas, a hangover, while it may induce muscle tension, also has a chemical imbalance which is best redressed with fluid intake. There are many more examples on Youtube.